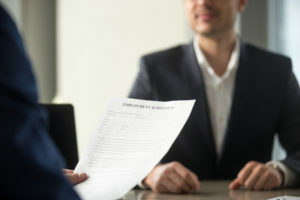 The high employment rate in the United States might be great news for the average worker, but it makes a sticky situation for many employers. As you prepare your budget for 2019, it’s time to explore alternative solutions to the employment problem. 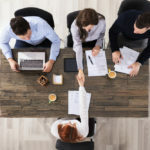 Outsourcing offers a compelling way to access high-level employees, unique skillsets and budget-friendly talent, without needing to find them on your own. Currently, the United States is experiencing a period of high employment and wage growth. It’s putting many businesses, particularly those without deep pockets to match offers from larger businesses, in a bind. In October 2018, the total non-farm payroll employment rose by 250,000 people, and the unemployment rate held steady at a mere 3.7%. The industries gaining jobs included transportation, warehousing, manufacturing and health care. Wage growth is also currently negatively impacting the average business, as minimum wage hikes have gone into effect. Over 18 states have placed minimum wage increases into law. While some companies can adjust to make ends meet, many will need to shutter unless they look for a solution, like outsourcing. Outsourcing Services International specializes in linking businesses with a highly-skilled workforce ready to complete tasks in a number of industries. One of the biggest struggles many businesses face is finding an affordable accounting professional to handle accounts payable, collections and customer billing. We can handle all three of those tasks in a timely, efficient manner. Are you not interested in hiring outsourced employees to work for your business on a daily basis? We can also help you with HR tasks like recruiting and onboarding team members. When you need to find talent, we are only a call away. Our employees boast impressive skillsets that will boost your business. If you’re feeling the effects of wage growth and minimum wage increases, outsourcing can also be an excellent solution for your business. Investing the money that you used to spend on lower-wage employees into outsourcing highly skilled employees is a win-win solution. Whether you need someone to assist with payroll or help with customer service, partnering with Outsourcing Services International can fill the gaps in your business without worrying about sky-high minimum wages and national wage growth. Outsourcing Services International is dedicated to helping businesses like yours grow and thrive in a competitive, changing marketplace. Receive our latest outsourcing case studies, and business articles.